Two decisions of the High Court towards the end of 2015 delivered conflicting results on the ability of New Zealand’s main financial regulator, the Financial Markets Authority (“FMA”) to bring about a company’s forced deregistration from the Financial Services Providers Register (“FSPR”). Both cases involved appeals against proposed deregistration by a financial services company that was registered in New Zealand, but with its substantive operations offshore and no New Zealand customers. The FMA has lost one case, and won another, with a degree of regulatory confusion now prevailing for international businesses looking at the New Zealand jurisdiction. Higher appellate courts will in due course have to resolve the inconsistencies. In New Zealand all providers of defined types of financial services must apply to be on a public register, and subscribe to a dispute resolution service, under the Financial Services Providers (Registration and Dispute Resolution) Act 2008 (“Act”). However, this is an administrative and regulatory visibility tool only, it does not create any substantive licensing or supervisory regulation. There has been public and government concern in the past about use of shell companies or offshore trusts, and other foreign businesses attempting to take advantage of the light-handed New Zealand registration provisions. One concern was that offshore entities with no real connection to New Zealand could register, and then misrepresent their status to consumers, and trade off the reputation for good compliance and low corruption levels that our financial sector enjoys. Therefore, amending provisions ss 18A and 18B were inserted into the Act in 2014 to set out the FMA’s power to direct deregistration in certain circumstances. The threshold test for the FMA is in s 18A: whether registration of a financial service provider (“FSP”) is likely to have the effect of creating or causing the creation of a false or misleading appearance of the extent to which the firm provides financial services in New Zealand, or from a place of business in New Zealand, or is regulated by New Zealand law, or is otherwise damaging the integrity or reputation of our financial markets or regulatory system. There is a statutory process for the FMA to follow, including issuing to the FSP a notice of intention to direct deregistration, and considering any response from the FSP, before determining whether the FSP should in fact be deregistered. In an attempt to clean up the registration regime, the FMA in 2014-15 initiated the statutory process a number of times, particularly regarding offshore forex training firms. The FMA had directed the FSPR’s Registrar Office to deregister Vivier and Company (“Vivier”), which appealed to the High Court, marking the first time a court has considered an appeal of this nature (Vivier and Company Ltd v Financial Markets Authority  NZHC 2337). The decision contains helpful discussion on the role and responsibilities of the FMA in seeking to deregister a financial services business, and clarifies the obligations of natural justice and necessary evidential basis. However, it may fall short of fulfilling Parliament’s intentions to prevent misuse or misrepresentation of what FSPR status actually means, and aspects of the reasoning have not been followed in a subsequent case. In parallel with this, a Government Ministry is also now consulting on possible legislative changes in future. The High Court case provides a good illustration of judicial oversight principles in action, and at a policy level calls into question the effectiveness of government statutory amendments which were designed to clean up the registration processes in New Zealand and prevent their misuse. In February 2015, the FMA received an email complaint from a member of the public attaching a news-media article about Vivier. The article said that the company was accused in Ireland of tax fraud and money laundering, and referred to New Zealand regulatory legislation. The FMA made inquiries and established that Vivier has a basic office in Auckland but does not provide any financial services to clients in New Zealand, its activities and clientele being entirely offshore. The FMA gave written notice to Vivier that it intended to direct deregistration from the FSPR. The FMA had received many complaints generally from investors overseas who believe that registration in New Zealand means that a firm is regulated or licensed by the FMA for services provided, but it had not received any specific complaints about Vivier in that regard. Vivier responded to the FMA notice, requesting clarification and supporting evidence and challenging the points raised by the FMA, but this did not cause the FMA to change its position. The Registrar was directed to deregister Vivier. In upholding Vivier’s appeal, on grounds of error of fact/law and natural justice points familiar to judicial review lawyers, Brewer J in the High Court delivered something of a setback to the FMA. In a second appeal, a different offshore forex trader, Excelsior Markets, failed to have the deregistration process halted, with the second High Court judge explicitly disagreeing with some of the Vivier decision. The factual setting was similar, Excelsior operating through the Meta Trader online platform, on a website registered in Panama, with a corporate shareholder in the United Arab Emirates, and operations outsourced in Sri Lanka. Excelsior did have a properly constituted New Zealand resident director, and registered office, but no clients or substantive financial activities in New Zealand. Nation J in a High Court decision delivered just before Christmas, agreed with the FMA that Excelsior’s business was being conducted substantially (if not wholly) outside New Zealand, such that its operations are not in fact subject to regulation by New Zealand law (e.g. any licensing regime, AML compliance requirements) and that could create a false or misleading appearance to overseas investors. In these findings, the Judge preferred to differ from the Vivier approach, perhaps taking a more holistic view of the purpose of Parliament in trying to address concerns with misuse of the Register. The Act is silent as to whether an appeal against a direction of the FMA is one of broader general appeal, or limited to exercise of a discretion. Sometimes the courts will afford a good degree of deference to a specialist regulator’s views, when challenged on appeal. That can mean a right of appeal is limited to one against discretion, with grounds of challenge resembling traditional narrow bases of judicial review. If so, in order to succeed, Vivier would need to establish that the decision of the FMA was plainly wrong, had made errors of law, or failed to consider relevant considerations, or took into account irrelevant considerations. On the other hand, if to be treated as a general appeal, the Judge could make up his or her own mind on the merits. Brewer J concluded that the FMA’s decision to make a direction involves the exercise of discretion. In coming to this conclusion, he noted that the nature of the decision requires an evaluation of options, rather than an objective application of a defined legal test to established facts. The Act requires the FMA “consider” whether it is necessary or desirable to issue the direction, suggesting that is a mandatory relevant consideration, not a legal test, and in addition the FMA is an expert body so deference should be given to its expert evaluation of options. Vivier’s first ground of appeal was that the FMA had made errors of fact in concluding that it should be deregistered. Brewer J considered that s 18A is a mandatory relevant consideration that the FMA must take into account, both before considering whether to issue a direction and after receiving the response submissions of a FSP. 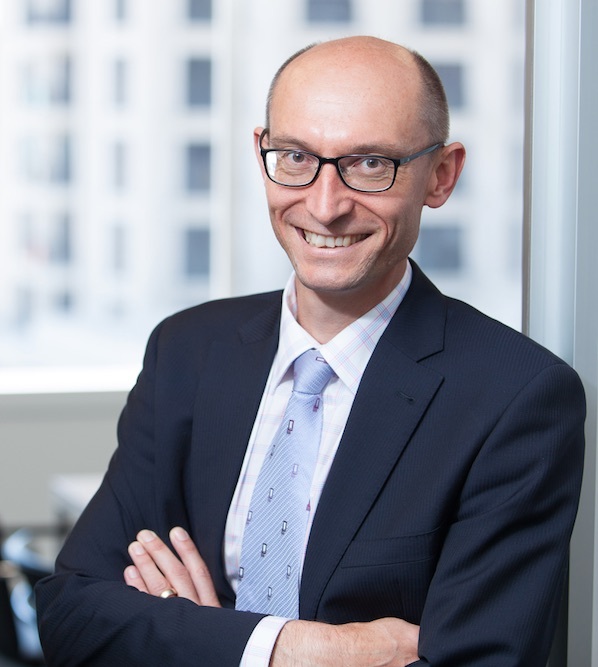 Vivier accepted that the FMA had not overlooked s 18A, but it challenged the factual findings made by the FMA under that section. Brewer J noted that the weight given to a mandatory relevant consideration can result in an error of law if the decision-maker makes factual findings, in the process of balancing considerations, which are clearly untenable. In taking s 18A into account, the FMA needs to make factual findings as to the way the FSP provides financial services and the nature of representations it makes about those services. These findings must be supportable and based on satisfactory evidence. The Judge closely considered the evidence relied on by the FMA. The evidence primarily related to whether the services provided by Vivier were regulated by New Zealand law and were provided in or from New Zealand. An important matter was that the Act allows FSPs to register even if they do not provide financial services in New Zealand. Given that, the court concluded that generalised evidence was insufficient. There needed to be evidence of specific problems with the way in which Vivier promoted itself. Evidence of general complaints about offshore FSPs was insufficient. After receiving Vivier’s response to the notice, the FMA made no further inquiries. Accordingly, Brewer J concluded that the FMA erred in failing to acquire a sufficient evidential basis that would properly weigh the s 18A considerations, before it reached its conclusion that Vivier should be deregistered. The second substantive issue was whether the FMA correctly adhered to the principles of natural justice in issuing the notice of intention to deregister. Vivier argued that natural justice was breached in two respects. First, Vivier said the FMA should have advised it of the email complaint and the news article. The Court agreed, deciding that natural justice requires that the FMA provide all relevant information it has in its possession upon which the FMA’s intention to deregister is based, in order for the FSP to properly respond. As the complaint and article were relevant to the FMA’s decision to issue the direction, they should have been disclosed to Vivier. Second, Vivier argued that the FMA breached natural justice by ignoring Vivier’s requests for further information and clarification in respect of the allegations and assumptions made by the FMA in its notice of intention. The FMA argued that the Act does not require a dialogue between the FMA and the FSP, rather the FMA sets out its intention, the FSP makes its submissions, and the FMA then makes its decision. Taking into account the severe consequences of deregistration, and the relatively low administrative costs of engaging in an on-going dialogue with a single entity, Brewer J disagreed. He considered that the Act gave a consultation right to the FSP, requiring the FMA to provide the FSP with sufficient information for it to be able to make intelligent and useful responses. The FMA’s notice to Vivier was vague and lacked sufficient particulars. In order to comply with the Act and with Vivier’s natural justice rights, the FMA needed to specify why, in terms of section 18A of the Act, it is necessary or desirable to consider deregistration, and set out all the relevant supporting evidence and give reasons. Justice Brewer allowed the appeal and ordered that the decision to issue to direction is referred back to the FMA for reconsideration. What next for attempts to tighten up the FSPR? On the one hand, the Judge’s approach is quite understandable, in effectively reading the obligation to “take into account section 18A” as an obligation on the FMA to make a factual finding, supportable and based on satisfactory evidence, as to whether one of the scenarios in s 18A exists. His conclusion was that not all the right processes were followed in this case, and hence natural justice issues arose. Because the decision to direct deregistration remains a discretion of the FMA, it is possible, though unlikely, that even if a scenario in s 18A were established, the FMA could consider further submissions of the FSP and ultimately decide it is not necessary or desirable to deregister. On the other hand, and surprisingly, given the limited grounds upon which an FMA discretionary decision may be appealed, the Court applied a very high threshold to the type and sufficiency of evidence that can be relied on by the FMA. It also determined that evidence relied on by the FMA must be specific to that particular FSP, and any misleading effects caused by that FSP’s registration. The FMA cannot rely on complaints about offshore FSPs in general, or thematic sector concerns, it must consider whether those issues relate to the particular FSP in question. The more fundamental problem is with the wording of the Act. The Court confirmed that the fact that a FSP provides services only to clients outside of New Zealand or may have a mere post-box or one-man administrative office here, is not sufficient in itself to justify deregistration. This is a consequence of the territorial scope provision in the Act, which explicitly provides that the Act applies to FSPs ordinarily resident in New Zealand, regardless of where or to whom the financial service is provided. Whether it was a government policy decision, or drafting inadvertence, it allows foreign companies to register here, with little physical presence, and service a client-base that is entirely outside of New Zealand – with the effect that local Anti-Money Laundering and other regulatory rules may be sidestepped. First published Jan 2016, in the International Law Office newsletter for New Zealand.